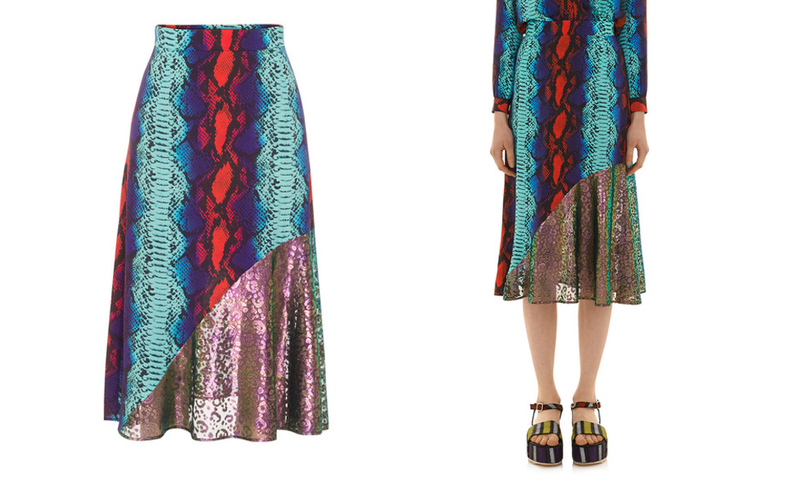 I’ve had my eye on this House of Holland number since it dropped online months and months and months ago. The attention-grabbing colours, the snake print, and the asymmetric iridescent lace panel down one side, together, is what my dreams are made of. All weekend, while I’ve been tucked up at home with a bad bout of IBS, I’ve been imagining parading this Surf Skirt in Blue Snake in front of jealous friends and family. I’ve put it in my basket twice now but not yet fully committed to making the purchase. And I just can’t work out why, especially as it’s now massively reduced in their sale. I’m talking £69 down from the original £230. It’s all just too good to be true.